All Aluminum No wood to rot or steel to rust! 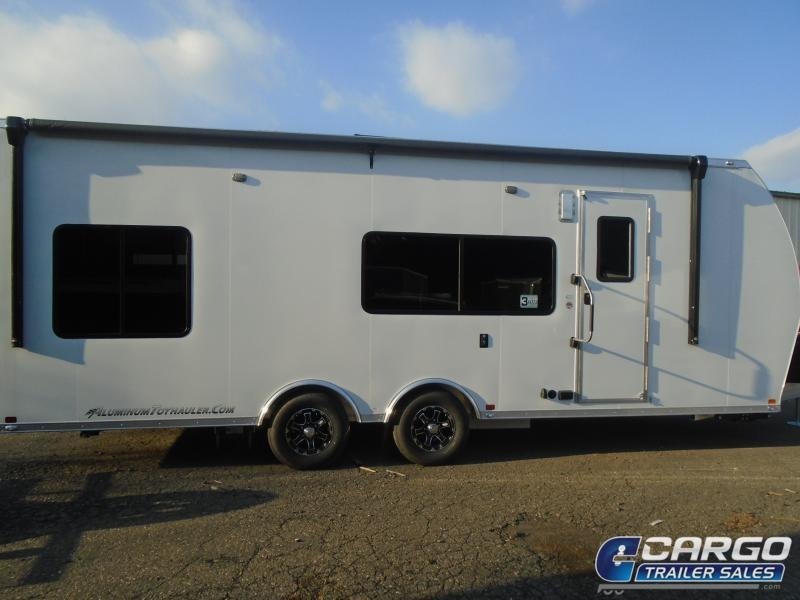 Full Perimeter Frame The strongest lightweight toy hauler on the market. 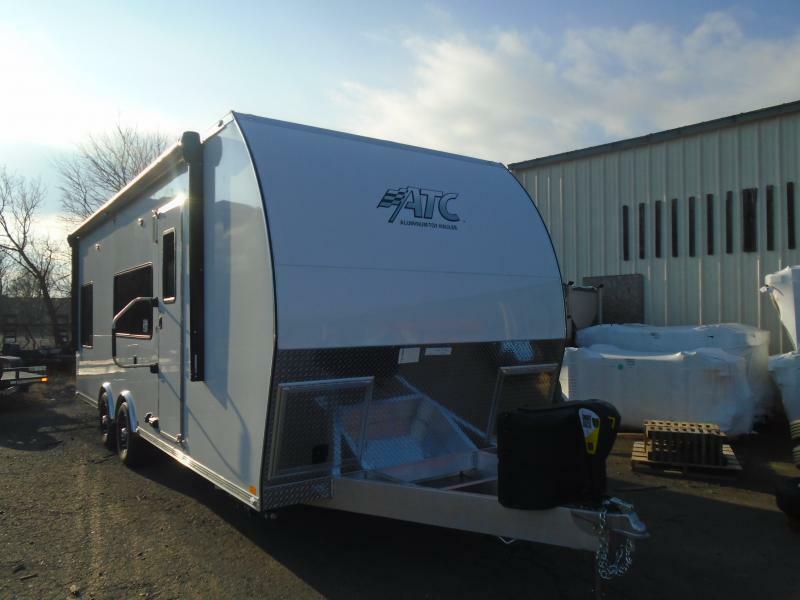 All Aluminum Ramp Door Rated at 4000 pounds. 8" Tongue with reinforcing cross members for added strength. Screwless Exterior Shell Held by bonding adhesive with more strength than screws. 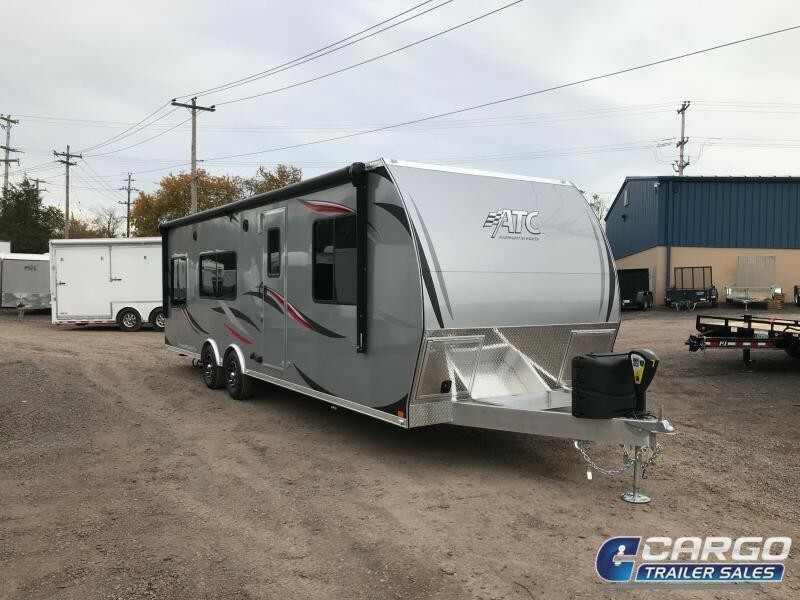 With no wood to rot or steel to rust, you would own multiple steel trailers during the lifespan of an ATC Aluminum Toy Hauler. The completely water resistant interior makes cleanup an afterthought.